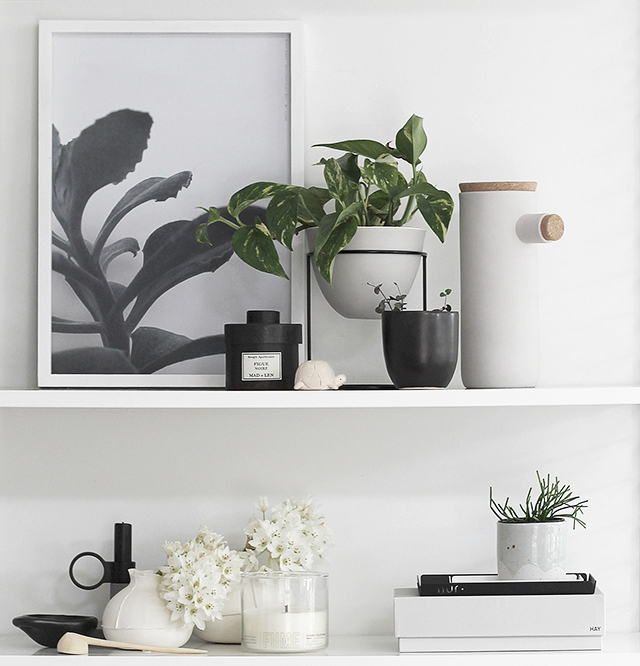 Recently I was introduced to Sill_life, an Auckland-based company specialising in indoor plants, hangers and accessories. Having trouble finding a plant to fit my lovely new Ivy Muse Nest, Sill_life came to the rescue and I have been singing their praises ever since. The company is an exciting new venture for Jasmine Edgar, who has been working in the Film and TV industry as a wardrobe stylist for over 15 years, and her husband Ian Ferguson, a graphic designer and owner of Auckland based design company, Friends of Design. Having always wanted to do something creative together "but not a fashion label!" 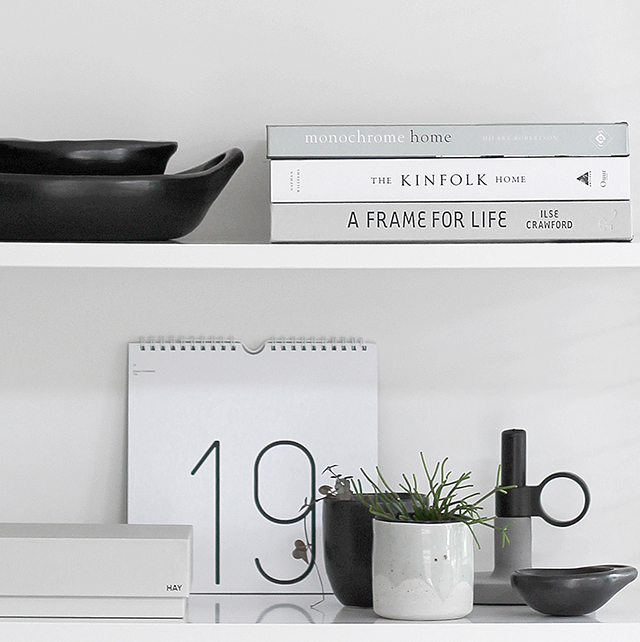 Sill_life combines Jasmine's passion for plants, ceramics and pottery, with Ian's love of photography and graphic design. When Jasmine first paid me a visit armed with a gorgeous selection of little plants, we took one look at each other and knew we'd met before. We soon figured out that we'd in fact met several times over the years, through the magazine industry and mutual friends. Also a mother of two young boys, Jasmine continues to juggle freelance styling work with the rapidly growing online store Sill_life. Needless to say she is a very busy (and talented) lady! Besides custom-potting plants to the size required, I love that Sill_life seek out exciting and exotic indoor specimens. 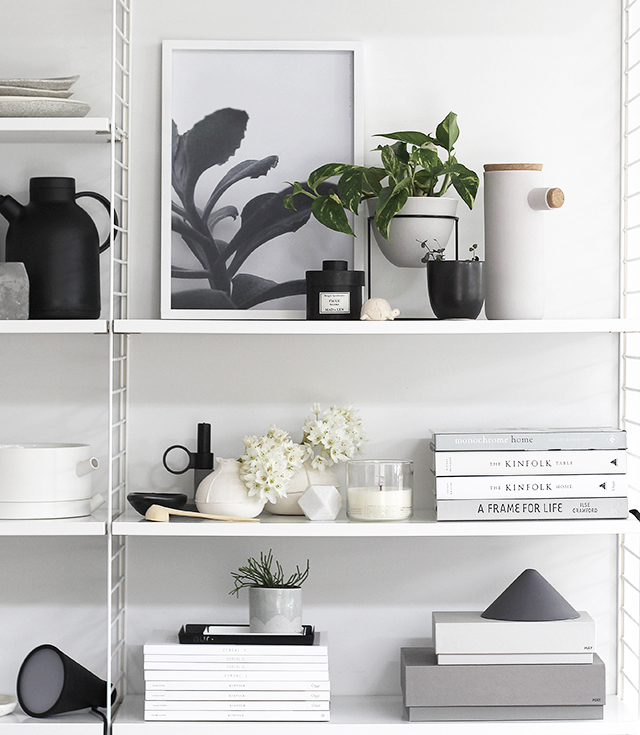 Constantly updating their online store with new items, their range of affordable potted plants, hangers and accessories are perfectly suited to both home and office environments. As you can see I'm getting a lot of enjoyment from styling these lovely plants on my shelves. They really do brighten things up and add a fresh, natural touch. The limited edition hand thrown ceramic pot designed and handmade by Jasmine is also gorgeous - such a pretty colour and finish. Be sure to check in regularly to Sill_life as they adding new items to the shop all the time. To receive news, specials and other info, drop them a line via their contact page and make sure you follow on Facebook and Instagram.